You may or may not have heard by now but Tony Horton and Beachbody are in the process of making the next P90X program, P90X 2 or P90X: MC2. For those of you who don’t know, P90X: MC2 stands for “Muscle Confusion 2″. It’s going to be all new workouts designed to take your body to the next level. Everything from new resistance, cardio and yoga workouts to new stretching and what they are calling “PAP” workouts or Post Activation Potential. These new workouts are tougher, more advanced, and are designed to keep your muscle confused so you avoid plateau. I am extremely thrilled and stoked to announce that I have been selected to be in the Cast of the new P90:MC2 videos! I would never have thought that when I used to lay in bed and watch the P90X infomercials that I would someday be in the next P90X video, working out with Tony Horton. Unbelievable. It is truly a dream come true for me. I owe a lot to P90X and Tony Horton. They both have truly changed my life and I feel truly humbled to be apart of the best fitness program ever created. I got the call last week and I had to rush up to LA for a casting. Turns out that they want me to be in 2 videos!! The 2 workouts are, ARX 2 and PAP: Lower . I have not done PAP Lower yet so I am very interested to see what type of workout set up it is and how extreme it can be. I hear good things so I am really excited. We start filming in March, so it time to get in the best shape possible so I can continue to Bring it! Here is a little info on the PAP workouts courtesy of Steve Edwards. “I’m excited,” said Marcus last night as we put the finishing touches on P90X mc2’s final third phase workouts. “We’re going to do a lot of good for people.” Apparently I was pretty amped, too, as I awoke in the middle of the night with a head full of possible scenarios that might challenge the periodiztional flow of mc2. A couple of hours later, with no obvious holes uncovered in our logic, I fell back asleep. From a scientific standpoint P90X was easy. Our development team needed only to bring what they already knew worked to the table. The big unknown was whether or not the public would buy in to the concept of hard training. Now, with the world watching, the accountability bar has risen. To meet the challenge we’ve enlisted the help of Dr. Marcus Elliott. Elliott’s training facility, P3, works only with serious athletes. Their approach is based on the latest applied science and, in fact, is so far ahead of the curve that they are defining what the cutting edge in athletic training is. What we’re doing at Beachbody is taking this knowledge and distilling it down to the everyday athlete. By analyzing the data from a broad spectrum of athletes we can find common deficiencies that lead to breakdown and anticipate this in our structure so that it best suits almost everyone. Mc2 is our first foray into this arena—actually; if you subscribe to Tony Horton’s One on One series you’ll see the actual first in our mc2 preview PAP workout. 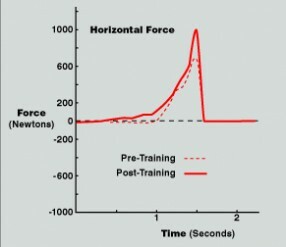 At P3, a major route to improving performance is through the application of “complex training,” which involves combining high load strength movements with biomechanically similar plyometric/ballistic movements as a means of taking advantage of Post Activation Potentiation (PAP), a phenomenon that refers to enhancement of muscle function as a result of its contractile history. P3 has found that complex training is far superior in developing athletic power to either resistance training or plyometric training alone, and while there are other mechanisms involved in P3 complexes, the successful manipulation of PAP plays an important role. To measure the effects of PAP on vertical and horizontal jump performance we had athletes perform Depth Jumps and Skaters off of our custom made force plates. For all of these tests, the vast majority (75%) of athletes performed significantly better post loading. It is important to note the athletes who were tested were all experienced P3 power trained athletes and that studies have shown there is a lot of individual variability in terms of when the potentiation effect occurs. And we, in turn, get to use their data to project how this will work on a less conditioned general public. Not that anyone who’s done two phases of P90X lacks conditioning. In fact, the base conditioning it provides is elite, which has been proven in how many professional athletes are using it. But when it comes to scientific training there is traditionally fit and, then, there is the next level. And that’s where we—and ultimately you—are heading. Complex training and the utilization of PAP have and will continue to give athletes many advantages. Unfortunately, general strength exercises paired with aerobic conditioning is still the norm, even at the highest levels of sport. These old school forms of training rarely take into account individual needs and the need for power in movement. Eventually teams and performance coaches will begin to conduct more precise and individualized sports specific programs. Until this transformation takes place, it is paramount that athletes understand their own performance and physical needs, as well as the proven methods that exist. P90X: MC2 sounds like it’s going to be on the forefront of sports science. Word has it that it will be released sometime by the end of the year. Get ready to bring it! 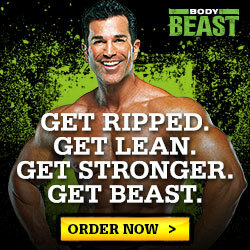 To stay updated with all the P90X:MC2 news, make sure you make me your coach, and click here to do so! Yeah, I was glad to see PAP UPPER instead of just "cardio" LOL when they sent me the assignment. But I just watched the prototype workout last night and while it's weighted, there is definitely a cardio component to it all. Tony is drenched in sweat during this bad boy! And he never sweats in his 1-on-1's. He's always taking long breaks. Not with PAP!!! @Wayne: Thanks man! I thought you were in a Cardio workout? I know a little about PAP and it is going to be legit. I hear it's only going to be in phase 3 because of how tough it is. Let me know how upper is. Yeah, I am excited about the 2 workouts. ARX2 is going to be great. Nice man! You'll have to keep me posted on what PAP lower is! I am in PAP upper! I have no idea what that will be, but if it's Dr. Elliot's stuff, it's gotta be good! Congrats on being selected! And 2 DVD's! Awesome!